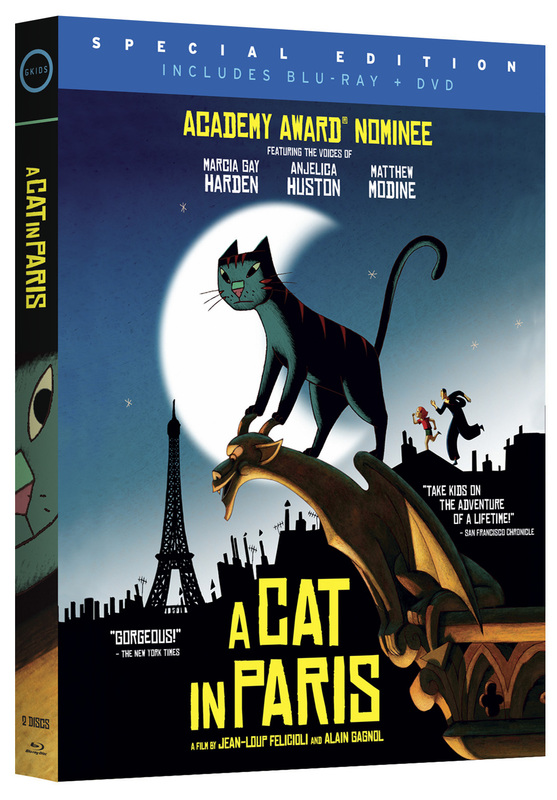 The Academy Award-nominated A CAT IN PARIS is a beautifully hand-drawn caper set in the shadow-drenched alleyways of Paris. Dino is a cat that leads a double life. 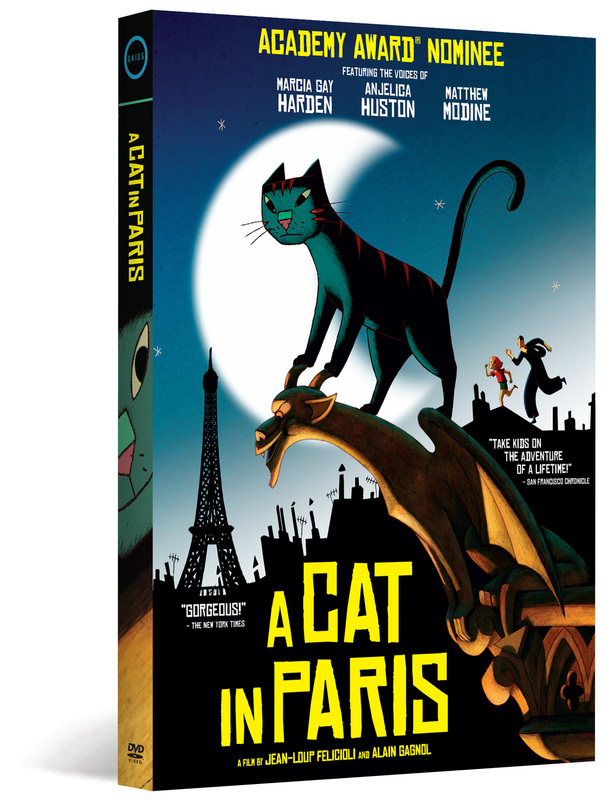 By day he lives with Zoë, a little girl whose mother is a detective in the Parisian police force. 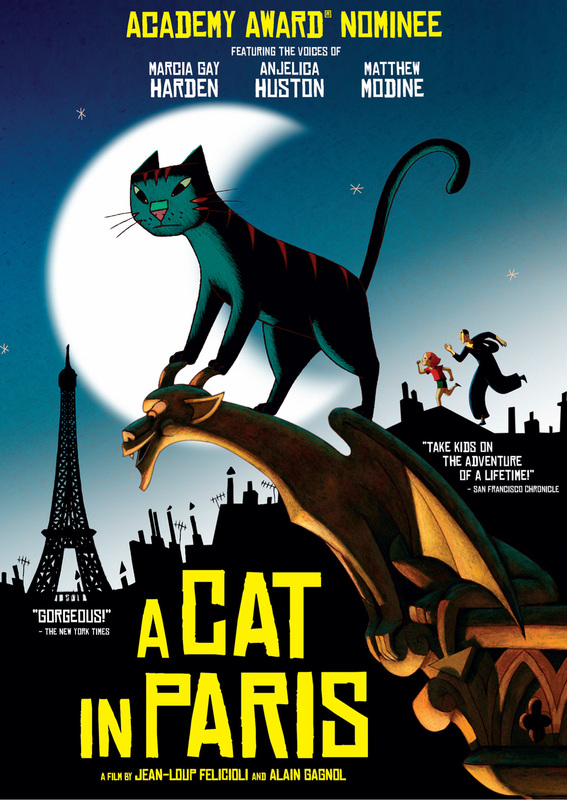 But at night Dino sneaks out the window to work with Nico–a slinky cat burglar with a big heart, whose fluid movements are poetry in motion as he evades captors and slips and swishes from rooftop to rooftop across the Paris skyline. 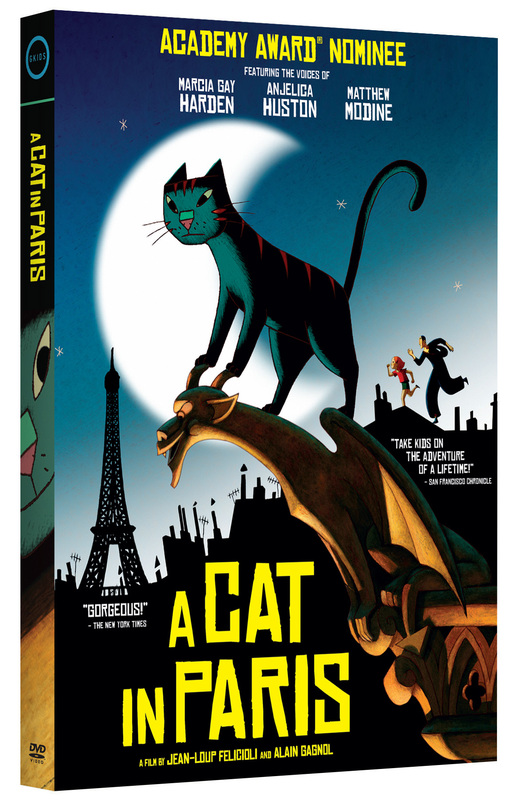 A CAT IN PARIS is a delightful animated adventure perfect for both adults and children–a witty and stylish “animated noir” with a jazzy soundtrack featuring Billie Holiday and a thrilling climax on top of Notre Dame cathedral. 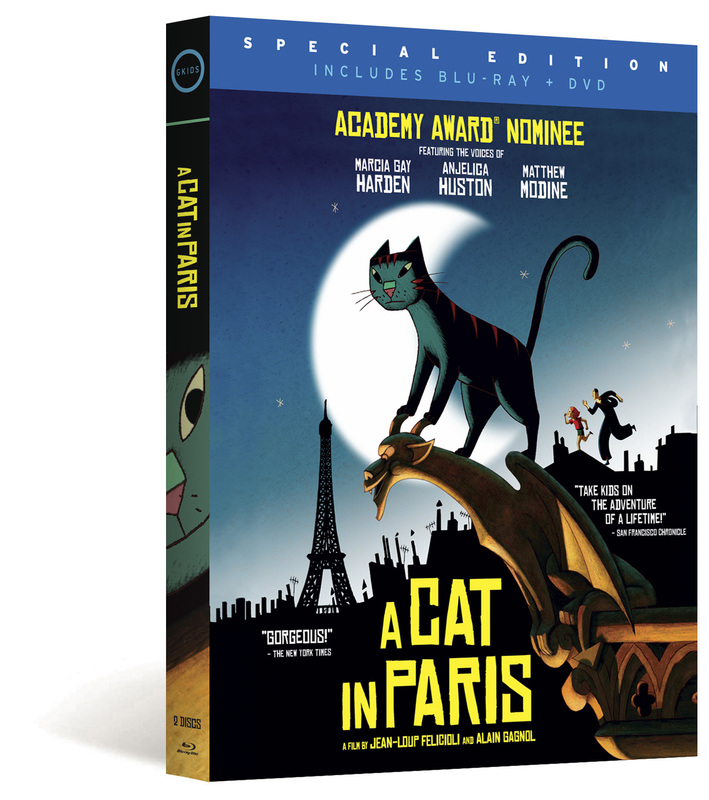 Featuring the voices of Academy Award winner Marcia Gay Harden (Mystic River), Academy Award winner Anjelica Huston (The Royal Tenenbaums) and Matthew Modine (Full Metal Jacket). "Take kids on the adventure of a lifetime!" 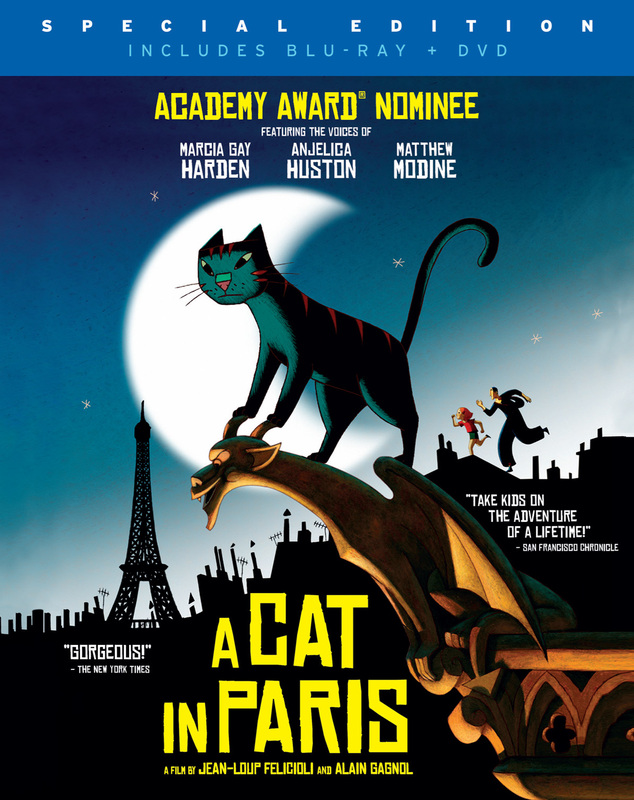 I found myself mesmerized by Cat's lovely storybook-like animation, and Nico's delightful serpentine mode of motion." a symphony of music and colors!"